After Reiki Level One and Two 21 easy, enjoyable Reiki exercises are delivered straight to your inbox. When I learnt Reiki I was very fortunate to live where I studied for over a month after each level. This provided me with time to practice Reiki on myself and enjoy practicing Reiki with other students. It also provided me with the opportunity to receive on going support from my teacher. I am available to answer any questions that may arise after your training via telephone or email. Yet, it would be challenging for you and I and other students to meet each day to practice. So I have created a 21 day e program for you to enjoy doing at home. 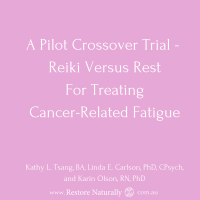 Contained within each program are practical & fun ways to deepen your connection to Reiki. Just for today be grateful! Depending on your state of mind and external circumstances practising gratitude can be easier at times compared to others. When your external circumstances seem unfavourable practising gratitude can help you to change your thoughts and feelings which then changes the energy you emit. When you notice life’s simple gifts your energy levels, health and feeling of well being can increase. 1. The table I can use to rest my computer. 2. The smell of stewed pears and cinnamon I just made. 3. The live podcast I listening to this morning. 4. That it is warm enough today to have the back door wide open even though I am writing this during winter. 5. The sound of birds chirping outside. Take time today to start a gratitude diary or make a gratitude list. 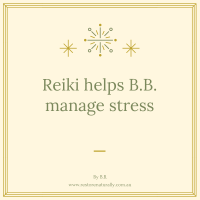 As you know Reiki restores you to balance physically, mentally, emotionally and spiritually. Take some time today to mentally scan your body. Where do you feel physically tight, tired or achy? Notice that sensation. Give yourself Reiki in that area for 15 minutes. If you don’t have any aches or pains, that is great! Treat any area of your body. 1. Notice how you feel after the Reiki session without judging the outcome. 2. Has the tiredness, ache or pain disappeared, did it move to another area of your body, did you receive an insight to why it is there? Sharing Reiki with others is a wonderful experience. You may have completed Reiki Level One and do not wish to share Reiki with others. That’s fine. Just for today, do a standard full self treatment. 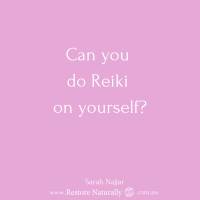 If you feel ready to share Reiki with someone else practise on a friend or family member. Practise explaining what Reiki is and what you are going to do doing the treatment. You can give someone a full treatment or treat a specific area depending on their needs. 1. 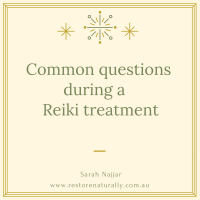 Ask them how they felt before the Reiki treatment? How do they feel after the treatment? Are there any differences? If they don’t feel different that is okay. Reiki is still working even if it doesn’t meet someone’s expectations. 2. Note how you felt before the treatment in comparison to after. 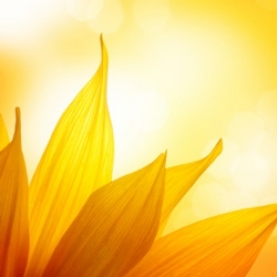 Is there a change in your energy levels? Has there been a change in your physical, mental, spiritual or emotional state?